Answers are important. If children aren’t given answers to their questions about the Bible and the history it reveals, they cannot defend their faith against a fallen world. 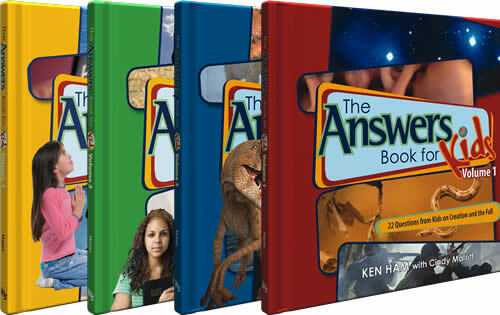 The Answers Book for Kids series is a unique collection of question-answer books from Ken Ham and the creative team at Answers in Genesis that meet this need. The story of Creation and the Garden of Eden are familiar ones. But they also present a wonderful opportunity to share important biblical truths with eagerly questioning minds through answers that even the youngest believer can understand. In this volume, children will get answers to questions like “How did God create everything from nothing?” and “The serpent talked to Eve, so why can’t snakes talk today?” 48 pages. Dinosaurs are fascinating creatures that kids simply adore, and even the youngest believer can recite the biblical account of Noah and his Ark. 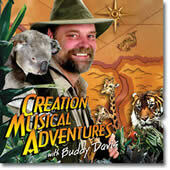 Now discover how to answer some of kids’ most interesting questions about dinosaurs and Noah’s Ark like “Where did all the water go after the Flood?” and “How did Noah keep the animals on the Ark from eating each other and his family?” 48 pages. Even adults struggle to understand our Creator—the infinite Being who seeks a personal relationship with each of us. Now kids can begin to understand both God’s Holy Word and the importance of Him in their lives—what He expects from them, why it is vital to follow His plan for their lives, and the love He has for them. This book will give you the opportunity to leave a legacy to the children in your life. A legacy of trust in God and His Word. 48 pages. Since Adam and Eve chose to disobey in the Garden of Eden, questions about sin, salvation, and the Christian life have often puzzled us. This book gives answers intended to form a strong and lasting faith foundation in the next generation. More importantly, it will set the example of seeking answers—even for the toughest questions—in God’s Word, our final authority. 48 pages. The next generation is calling it quits on the traditional church. And its not just happening on the nominal fringe; it’s happening at the core of the faith! This powerful book reveals shocking trends and offers wisdom on how to win back our families, our churches, and our world! The trends are frightening, but this DVD shows how to win back our families, our churches, and our world! 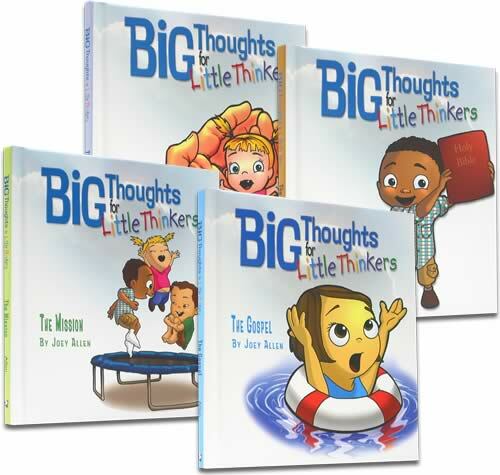 The Big Thoughts for Little Thinkers series introduces children to the Bible’s most foundational teachings at a level preschool and elementary kids can understand. Colorful illustrations complement every page, creating an enjoyable learning experience for each child. Based on the book of the same title, the Parenting Study Kit includes a 142-page Leader’s Guide and 11 sessions on 5 DVDs. A printable participant workbook is also included as a DVD bonus feature! Great for home or group study. With Bible-based practical advice, this unique parenting book by Ken Ham and Steve Ham is a great guide for parents with children of any age. 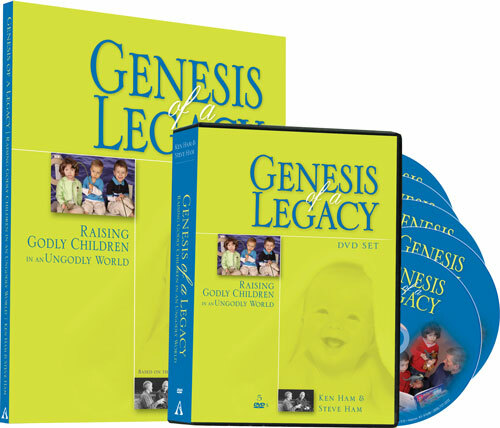 Discover how you can begin leaving a legacy that truly honors God through your family! This hard-hitting lecture by Ken Ham examines the significance of the family in relation to Genesis.